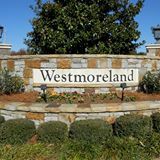 Westmoreland is a beautiful planned community in Cornelius just minutes away from Lake Norman. Homes are in the Traditional and Craftsman styles. This community was developed by national home builder David Weekley in the early 2000’s. Recently regional home builder Landis Reed has begun to build homes there as well. Amenities include a playground and community pool. Homes sell in the $200k’s.